It happens every year, the same wonderful event of coloring Easter eggs with your family and friends. 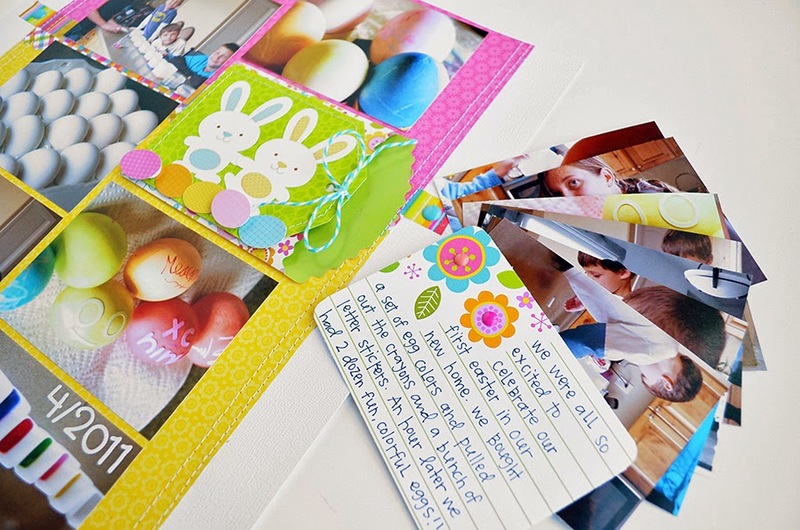 So the more inspiration we can give you on how to scrapbook those memories the better, right? 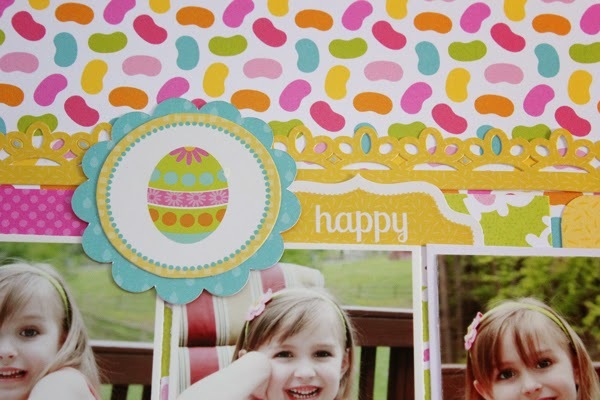 So today we're featuring two fun layouts on this topic from Wendy and Aimee. Hello Doodlebug Friends! 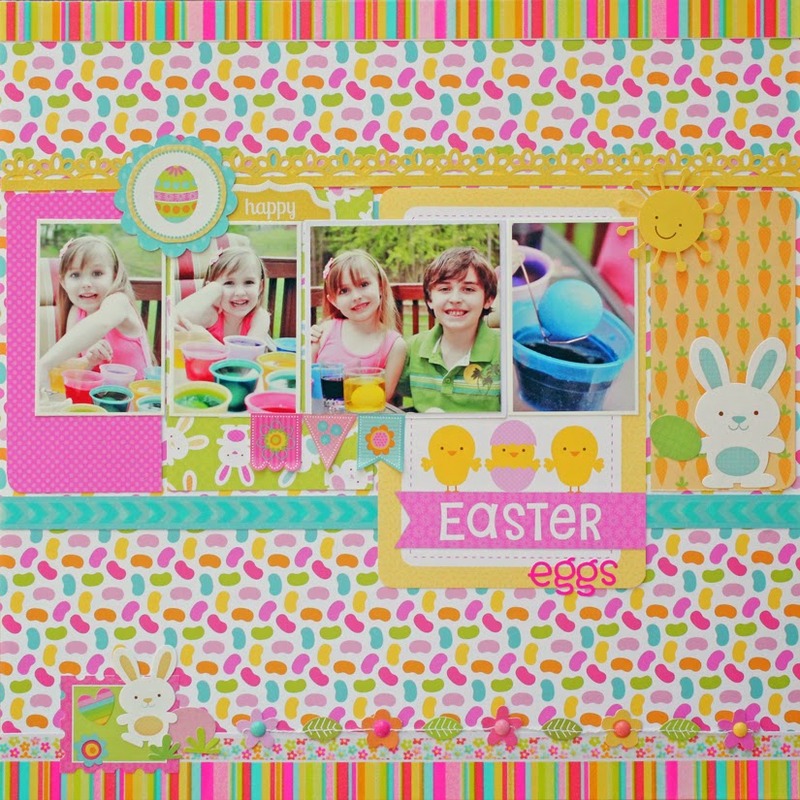 It's Wendy Sue - I'm taking over the blog today, sharing a fun Easter layout with the new Springtime collection! I have to admit that when I saw the cute easter bunnies and eggs, I knew I had to document a little Easter tradition...one that I'm sure many of you share - coloring eggs! The little banner up in the corner came from the fancy frills sticker sheet - I love that there are so many uniqye little flag pieces - I will be able to use the rest of the flags on one or two projects. 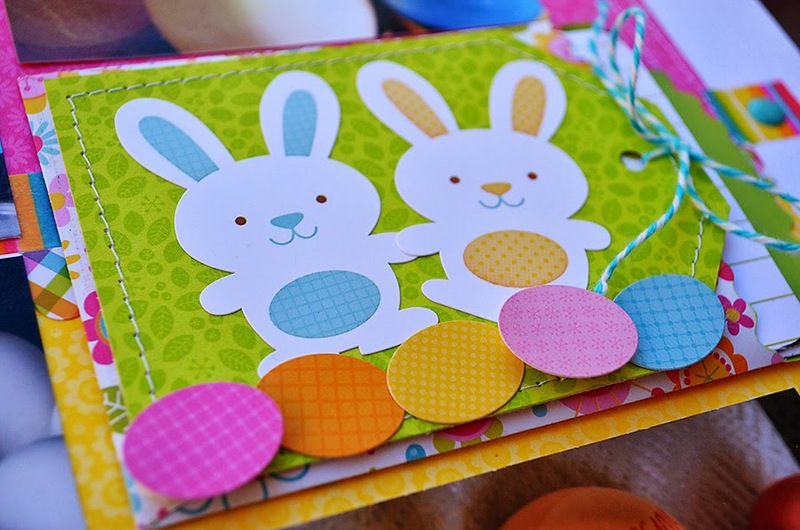 I wanted to make this little easter bunny scene with the stickers - I used foam adhesive to pop up a few of the eggs (just as I did with the banner pieces) - and mounted everything on a little tag I cut from patterned paper. Can you see the little treat bag underneath the tag? It's holding some journaling as well as several "extra" photos from our day. Hidden journaling and pockets for photos are one of my favorite ways to make sure I'm saving complete memories, without actually displaying every single little item. 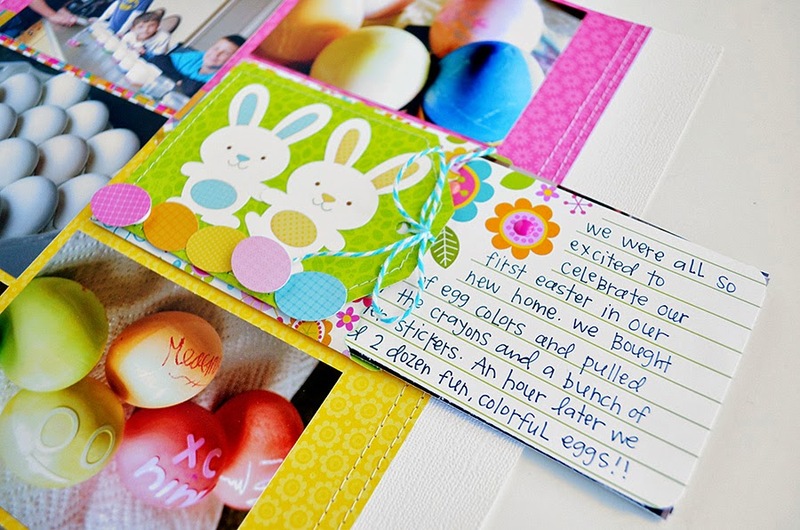 Have you ever used hidden journaling or photos on your layouts? What's your favorite method? Hello Doodlebug fans! 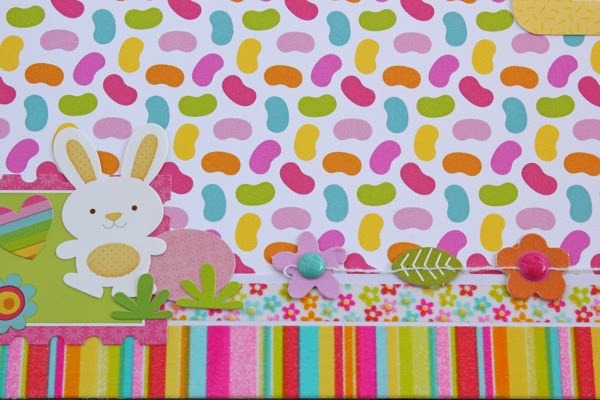 Aimee here with you today to share an Easter layout using the fun and festive Springtime collection. 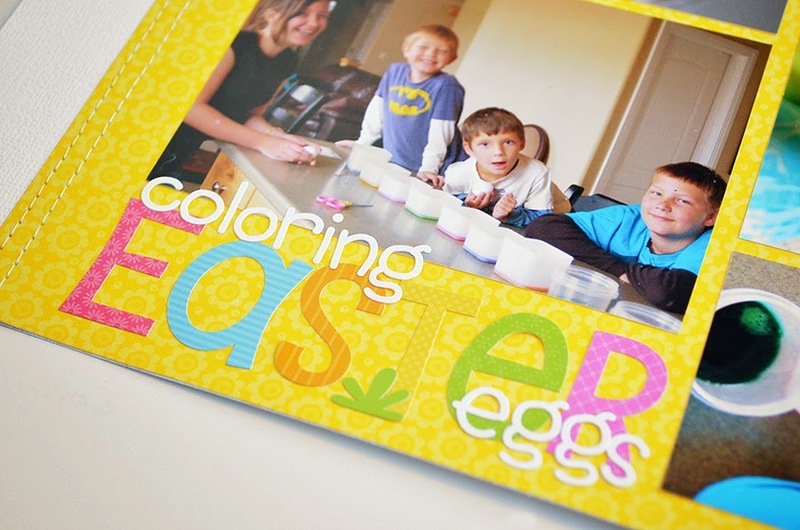 The bright colors were a perfect match with my pictures of the kids coloring their Easter eggs. This collection is a sure win for all those springy occasion pictures. Love the layouts! Thank you for sharing, pinned them on my Pinterest board. These are both so cute!! Love the journaling pocket on the first. 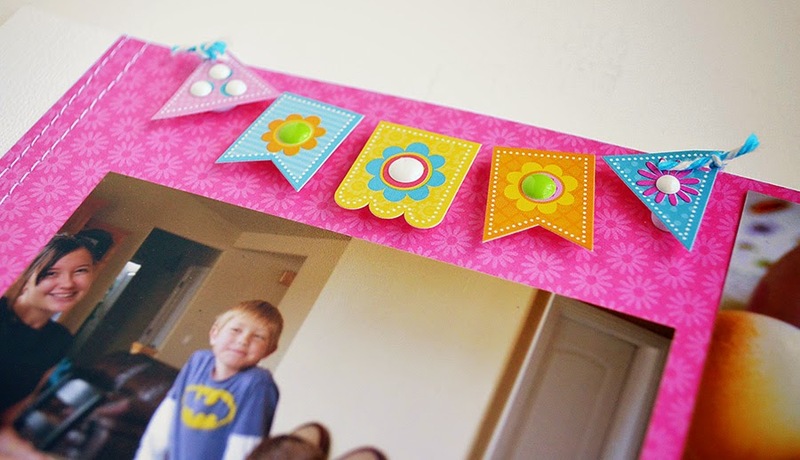 Love, love the punched border, banners and the way she used all the fun icons, stickers and the garland. Awesome!! Those are fabulous! The banners, the borders, the jelly beans...perfect! 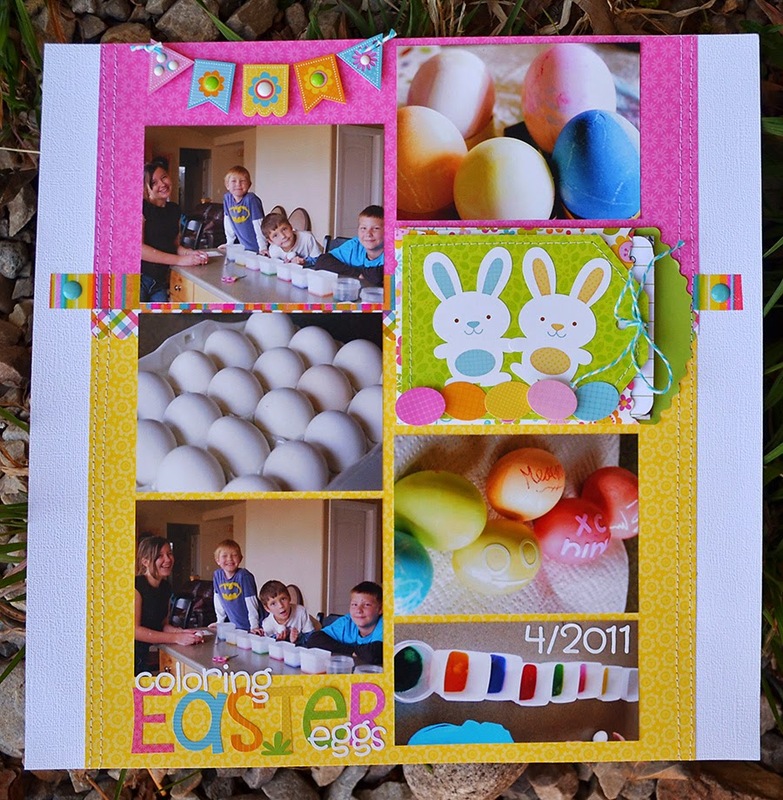 This collection is perfect for layouts about coloring eggs! These two layouts are so cute! Love the hidden treat bag! Beautiful, love the border and banners on both of the layouts. And the hidden journaling card is perfect. All of the patterns and colors are gorgeous! Adorable! Love that little pocket! So so cute, pinned them! Wow, these are so adorable! 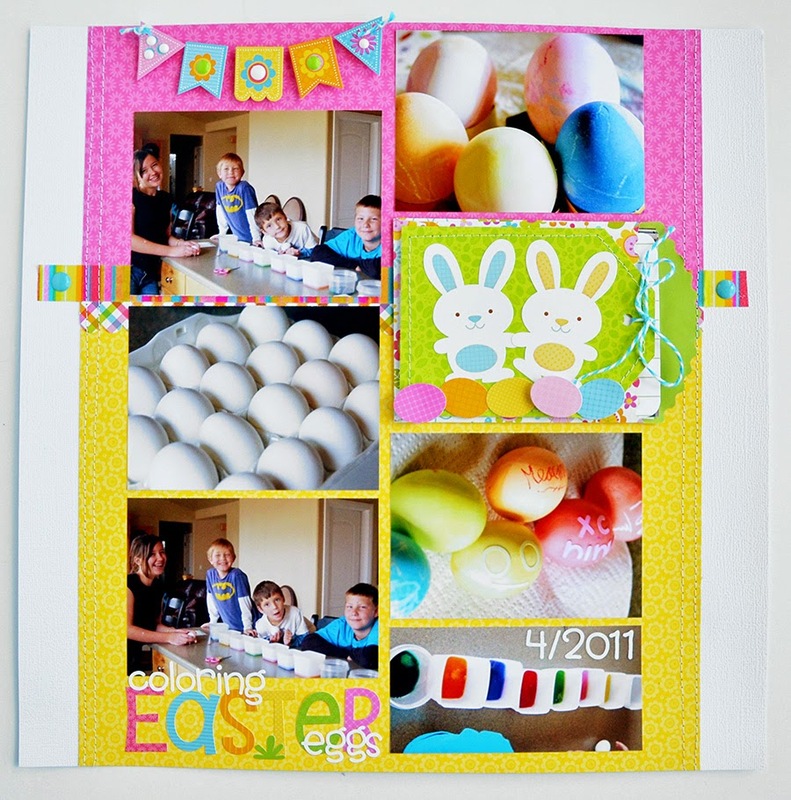 2 very great layouts - They are both of traditions that we take pics of EVERY year and I always need new inspiration on how to scrap those pics!! Thanks so much for the inspiration you two ladies shared today!!! beautiful LO, so full of color! So cute! I love the pocket on the first page. FUN times and FABULOUS layouts!!! 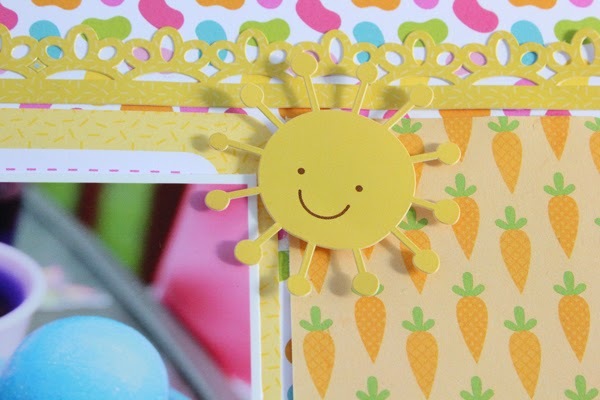 THANK YOU for sharing your bright & cheery SPRINGTIME inspiration Wendy Sue and Aimee!!! I LOVE the layouts! 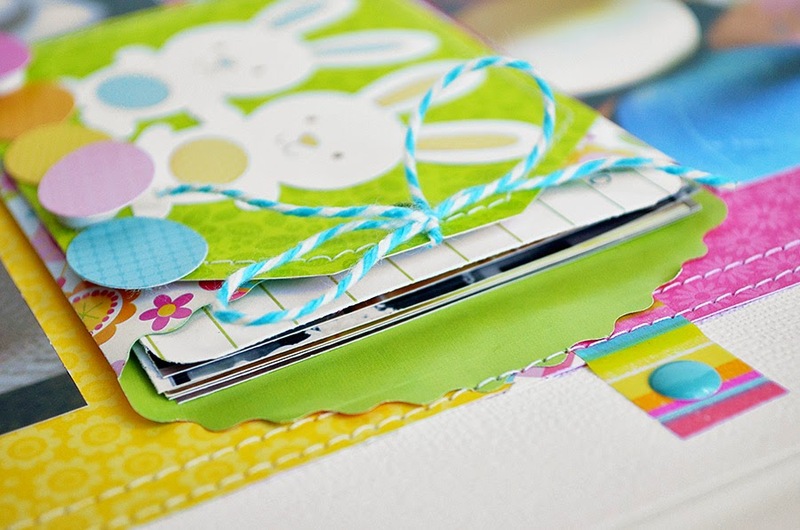 I like the hidden pockets, but I don't use them on scrapbook pages because I put mine in protective sleeves. I do use them on mini albums and on cards. I posted to FB, and pinned to Pintrest too http://www.pinterest.com/taylordscrapper/doodlebug-designs-i-love/ thanks for more chances to win! This cuteness here was shared on facebook with enthusiam!!! LOVE the hidden spots for additional photos and journaling!! MUST do egg colouring with my daughter this year! Looks heaps fun then I can create an awesome layout about it. 2 times the fun!